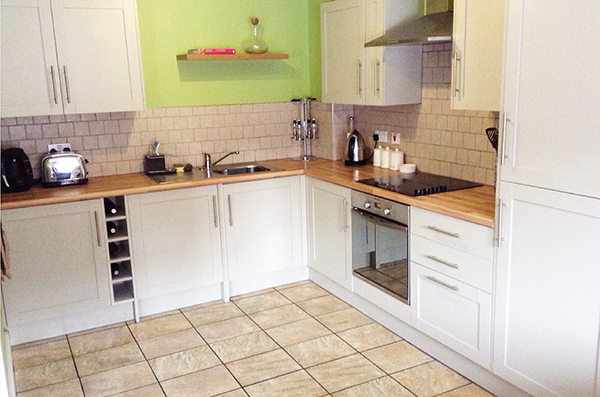 Nigel completed renovated this kitchen. 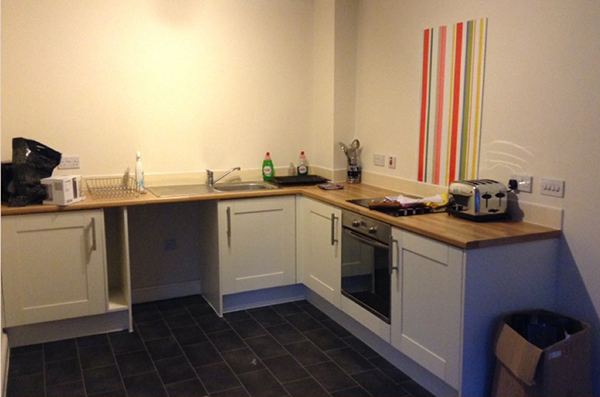 He replaced the cupboard doors, hung the wall cupboards and fitted an extractor fan. He then fitted the fridge/freezer unit and finished the job by tiling the walls and floor.